Focus Features has been dropping trailers for their fall and winter releases like wildfire and it seems they’ve saved the best for last. 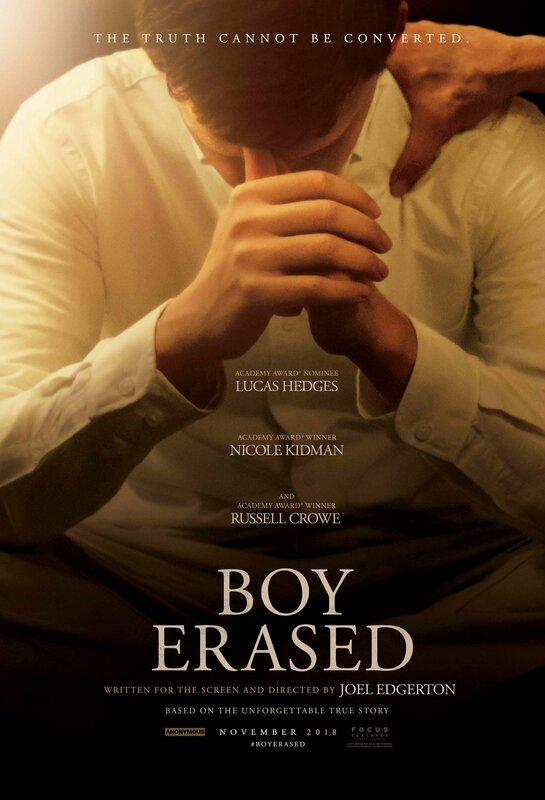 Boy Erased tells the story of Jared (Oscar nominee Lucas Hedges), the son of a Baptist pastor in a small American town, who is outed to his parents (Oscar winners Nicole Kidman and Russell Crowe) at age 19. Jared is faced with an ultimatum: attend a gay conversion therapy program – or be permanently exiled and shunned by his family, friends, and faith. Boy Erased is the true story of one young man’s struggle to find himself while being forced to question every aspect of his identity. 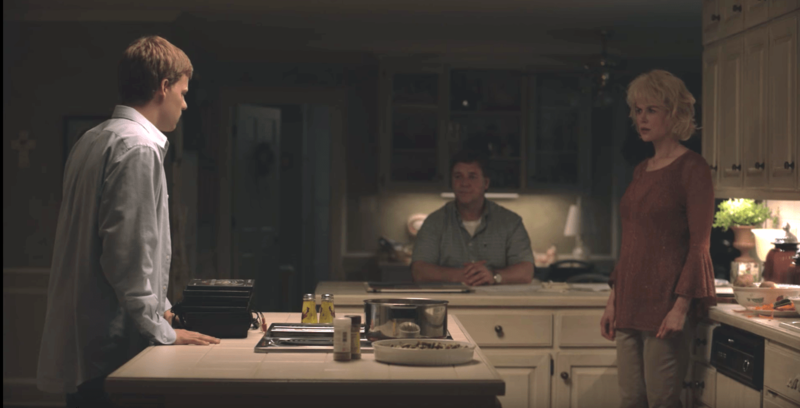 The film is directed by Joel Edgerton (The Gift) and adapted by Edgerton from the memoir “Boy Erased” by Garrard Conley. Co-starring in Boy Erased are Troye Sivan, Xavier Dolan, Flea, Joe Alywn and Edgerton. Look for it to be a major Oscar contender this season in Best Actor, Supporting Actor and Supporting Actress and more. Focus Features will release Boy Erased on November 2nd. Here is the first trailer (featuring the original song “Revelation” by Troye Sivan & Jónsi) and poster.